Style Theory: The cargo trouser, such a solid companion in your wardrobe, year after year cargos are worth their (wearing) weight in gold. Dress up, dress down, the perfect neutral colour; match with brights, with animal prints, with metallics anything goes with this versatile item.. 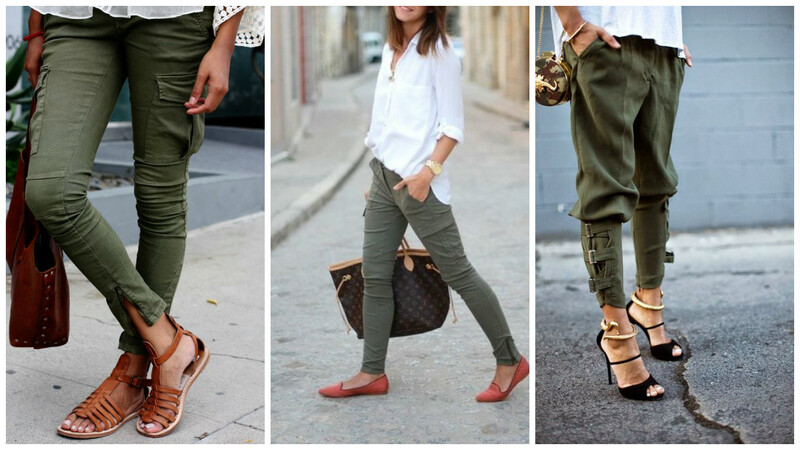 These trousers are the perfect dress up, dress down item. The fabric is textured and is flattering on, pair with a breton and stan smiths for the daytime, dress up with tan heels and a pale pink shirt for a beautiful evening look. 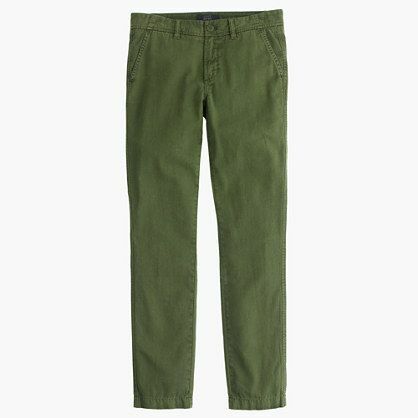 A good, basic pair of trousers at an affordable price. 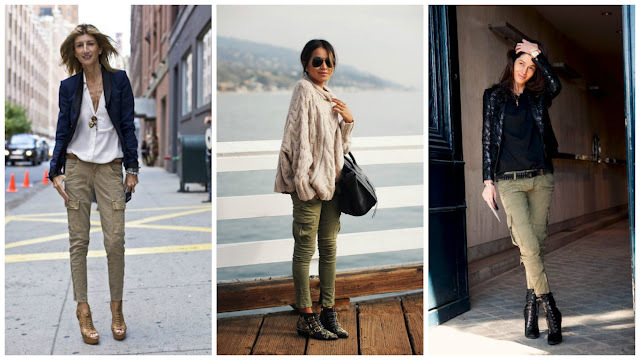 I like the slouchy look, size up for a slouchier look and I am not sure if it is just me (and the winter extra pounds) but Zara seems to be coming up fairly small so I find I am wearing a size up this year..maybe it is time to get exercising I would love to hear if you have found the same? 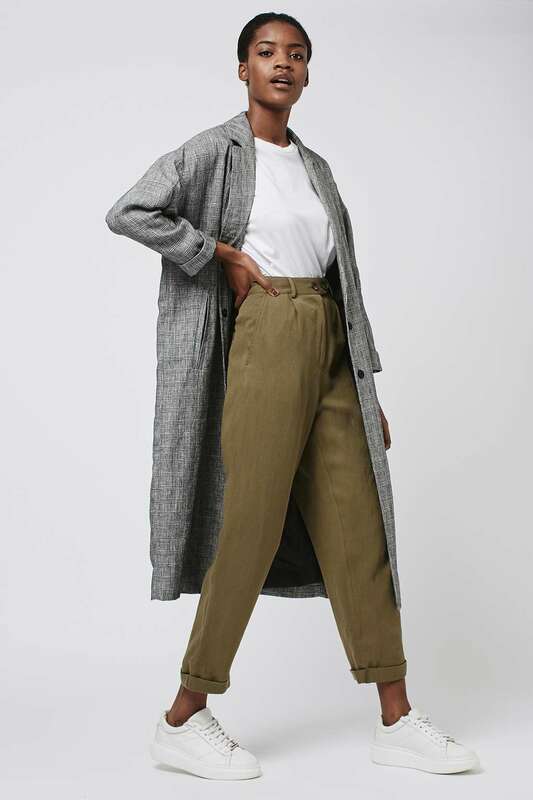 Quite J Brand Houlihan in style, these trousers are perfect with an oversize knit and trainers for a cool weekend look, size up your sweater to ensure it is a slouchy fit over these trousers. 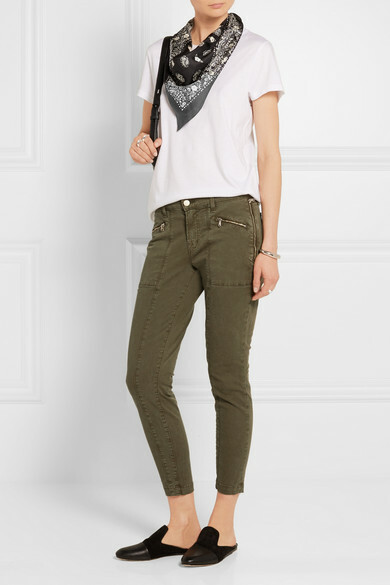 These are pricey but I am a huge fan of J Brand trousers and jeans, they keep their shape amazingly, are super flattering and as cargo pants are such a perennial trend it is worth investing in them. The detailing on these is stunning, they are cut to slim you and the fabric is so comfortable to wear. 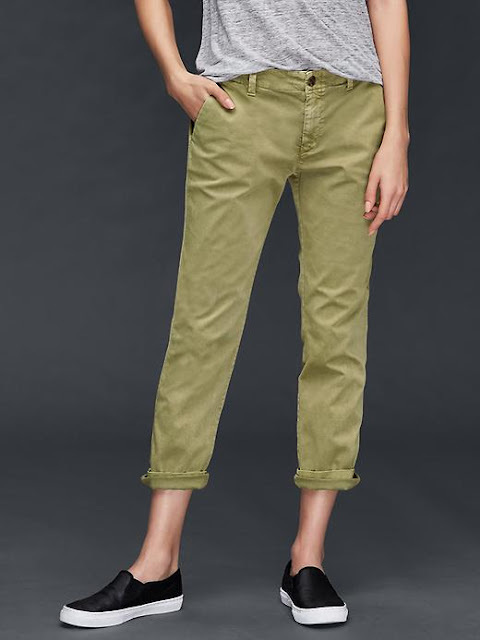 These are under the chino category more than the cargo trouser but they basically do the same thing and these ones are beautifully flattering across the tummy at they are flat fronted. They look equally great turned up with trainers as will heels. For a going out look at a silk shirt and layered fine gold necklaces for a cool, chic look. As above but at a slightly cheaper price, the perfect summer work trousers that can be used at the weekend too. 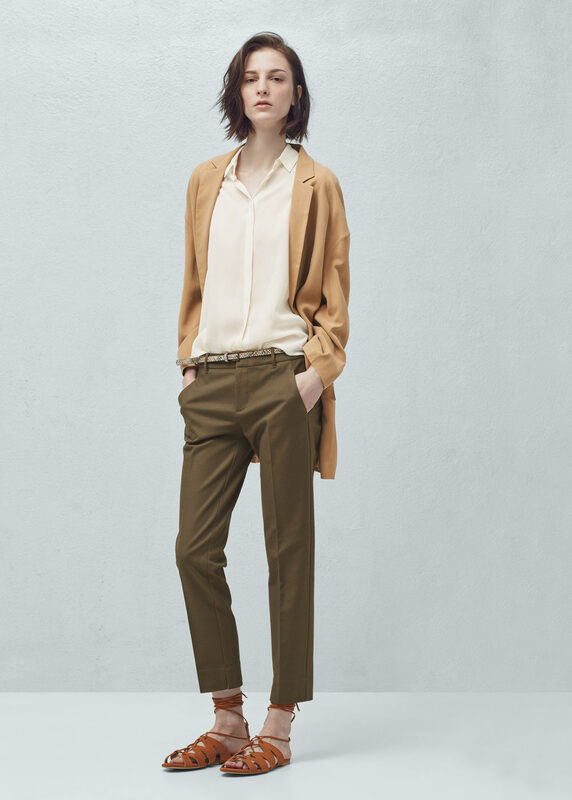 These girlfriend chinos look just the right balance between fitted and loose, they skim over your curves. They will look lovely in the summer with tan flat sandals and a white lace victoriana style top, sling a biker jacket over the top to toughen the look up. I do love a cargo look, I bought the Topshop ripped knee ones last year, unfortunately every time I move they rip more, it turns out you need a more robust fabric if you are to have rips at the knee.. So are you are cargo/chino fan? Are you ready to go back to the 90s or was it the 00s with the cargo heel look, I was so into that trend..reckon I'll give it a go again..a bit older, a bit chubbier but what the hell!! As always I would love love to hear your thoughts and comments. Also would love to hear what this website is like on your computer, it seems to be small on some ok on others? I need to try to sort it out so it is easy to read (I think the font may still to too small) would really appreciate any feedback so I can make it reader friendly! Thank you so much, have a wonderful weekend, I am off out with University friends in town this evening for an engagement (soo exciting) and a couple of 40ths always the best fun but always a dangerous mix, I will no doubt be horrendously hungover tomorrow, I am scared already I cannot handle hangovers anymore! I have a favourite pair I've had for years from River Island. A great summer basic. They are literally on their last legs. This might be the year to replace them. Love cargo trousers especially with tan heels. I have a Top Shop pair from last year with frayed hems that I plan on wearing to death this summer! Oh I picked up a bargain pair a little while back so I'm ready for this trend! I'm just waiting for the weather to warm up a little so I can wear them in ernest. I'm really glad these are back. A great alternative to jeans! Cool pants! I'm thinking of getting one of those. 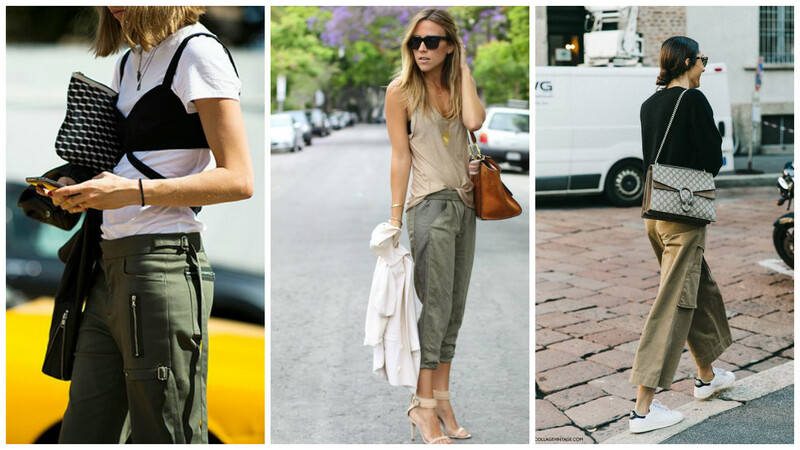 You look gorgeous in cargo trousers,can't wait to buy this one. This is also possible if you were a former resident of Canada who is now a resident of another country for at least a year.